To get that rich blue hydrangea colour in your garden that everyone loves is easier than you think. If your hydrangeas are supposed to be blue but are pink, you’ll need to add Aluminum Sulphate to the soil. Adding aluminum sulphate is necessary to change the pH of the soil to help make it more acidic. 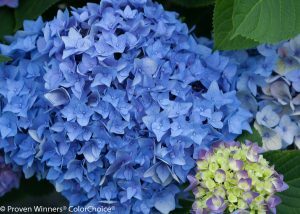 You can only change hydrangeas blue that are supposed to be blue (i.e. you can’t change white ones to blue) and this process only works on big-leaf hydrangeas (Hydrangea macrophylla). Changing the pH of the soil to the ideal pH 4.5 to 5.5 levels can take more than one season depending on your starting conditions. 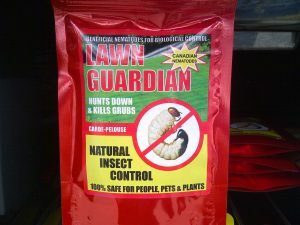 Start applying aluminum sulphate in the spring as soon as it starts to warm up, once a month until the blooms are open. You can also add pine needles, mulch and/or leaves to help add natural acidity to the soil as they break down. Click here to learn how and when to prune your hydrangeas to get the most blooms? This entry was posted in Shrubs and tagged aluminum sulphate, blooms, blue hydrangeas, flowers, gardens, georgina, georgina garden centre, hydrangea, landscape, natural, plants, proven winners, shrubs, spring on June 13, 2016 by Online Graphics.